“A developed country is not a place where the poor have cars. 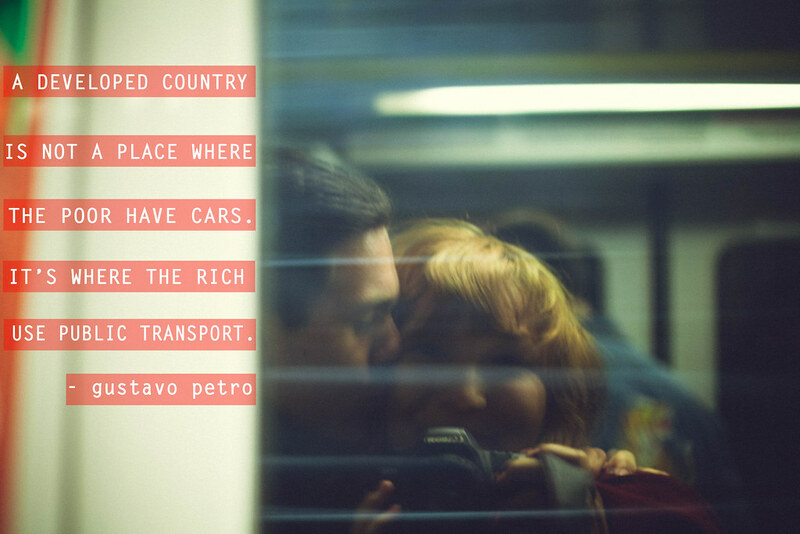 It’s where the rich use public transportation.” A lovely quote from the controversial mayor of Bogotá, Gustavo Petro. This rings so true when I see how many people travel by car where the average income is low and see how well-developed public transport is in well-developed countries.